Vueling have put many European routes on sale from only €9 one-way during the summer. 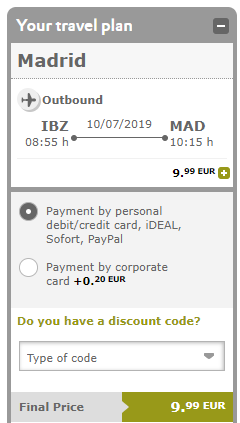 For example, fly from Ibiza, Spain to Madrid for only €9 one-way (see image below). The Vueling website conveniently allows you to view prices for the whole month so there is no need for a list of example dates from us.